In Vermont, the beginning of March means town meeting day, and because we live near Dartmouth College it also heralds the birthday of one of the college’s most famous students and benefactors, Theodore Geisel (aka Dr. Seuss). But in addition to our valley community, millions of people across the country also celebrate his books and birthday in early March as part of the National Education Association’s Read Across America Day. To honor the child in all of us, the ever-growing world of picture books, and as a shout out to one of the fathers of the genre on his special day, we’ve selected a few of our favorites from the crop of new picture books to share with you. (Thank you Susan Voake, retired children’s librarian extraordinaire for getting us started in our selection.) Even if you don’t have kids – or if you do and they are beyond picture books – you may have nieces and nephews in this age set, christenings to attend, or perhaps you just might want to make a spontaneous gift to your local public library, children’s hospital, and/or homeless shelter. And because we couldn’t resist sharing something for our always hungry adult readers, a new book, an international best seller The Dinner by Herman Koch, is also reviewed below. A Hen for Izzy Pippik by Aubrey Davis and Marie LaFrance (March 2012)- An old-fashioned fable, based upon Jewish and Islamic folklore. We interpreted this story as a tale about being rewarded for doing the right thing even when the world is pressuring you to act differently. You may have other interpretations. Since the setting is a village facing hard economic times, many of the villagers’ arguments and situations might ring true for many readers. Squeak, Rumble, Whomp !Whomp! Whomp! 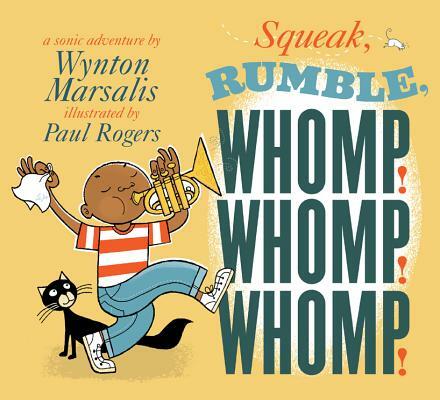 : A Sonic Adventure by Wynton Marsalis and Paul Rogers (Oct. 2012) – The music of everyday items truly sings on every page in this funly (Yes, we are also making up words in honor of Dr. Seuss with this post.) illustrated book. 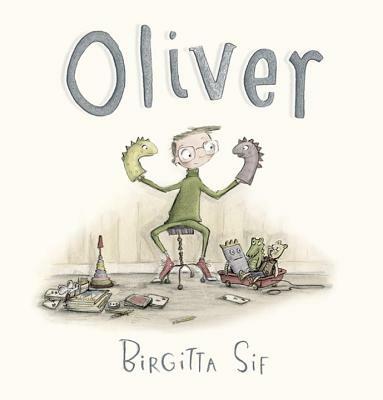 Oliver by Birgitta Sit (Oct. 2012) – This almost sparsely illustrated book shows you a boy who is a little bit different and slightly lonely. Along the way you see his adventures, and his discovery that he is pretty OK. And then, you smile as he embarks on the greatest adventure of all – friendship. 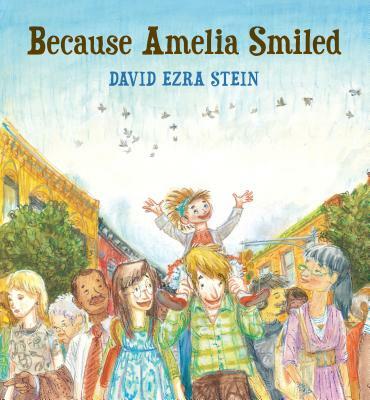 Because Amelia Smiled by David Ezra Stein (Sept. 2012) – A gorgeously illustrated book shows the power of a smile to charm. It also demonstrates in a silly manner how interconnected the world is today. 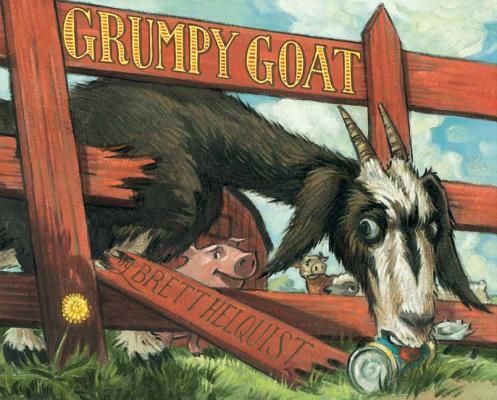 Grumpy Goat by Brett Helquist (Jan. 2013) – Yes, this goat is cranky, he’s hungry, and he’s never had a friend. But, humorous illustrations show the power of positive thinking when growing something and making friends. Now one pick for grown-ups. At first, this may seem a bizarre fit in a post crafted as a tribute to a man who wrote books for children. However, we believe Geisel, who created biting cartoons for Dartmouth’s humor magazine Jack-O-Lantern and during his early career, would have appreciated the darkly satirical writing in this riveting book. We are so glad you found us. And, we hope you continue to look to the Book Jam for great book suggestions.